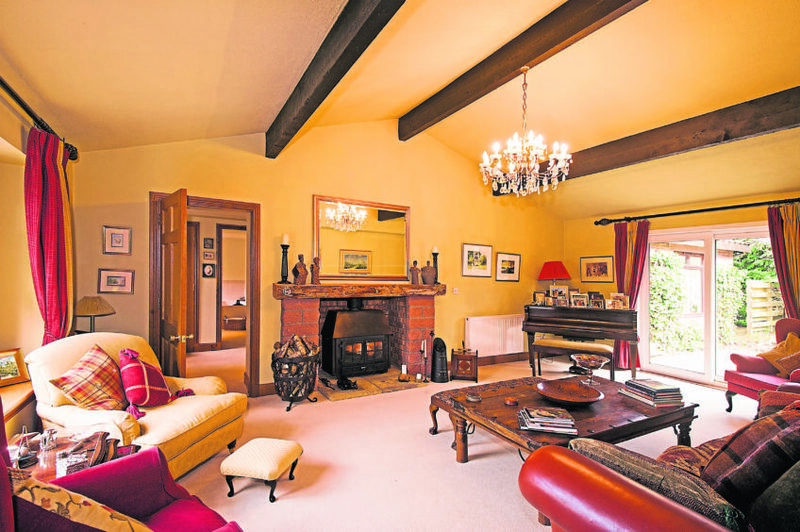 Cosy and elegant, Fern Lodge is a home with heart in Royal Deeside. Philippa Gerrard spoke to the owner to find out more. As is often the case with new residents of Aberdeen, it was not the city’s beautiful beaches or sparkling granite which lured Veronica Harvey to the area. Instead, it was the booming oil industry which offered jobs and prosperity for her and her four children. But when she moved to the region in 1984, what she didn’t expect was to fall in love with her new surroundings. 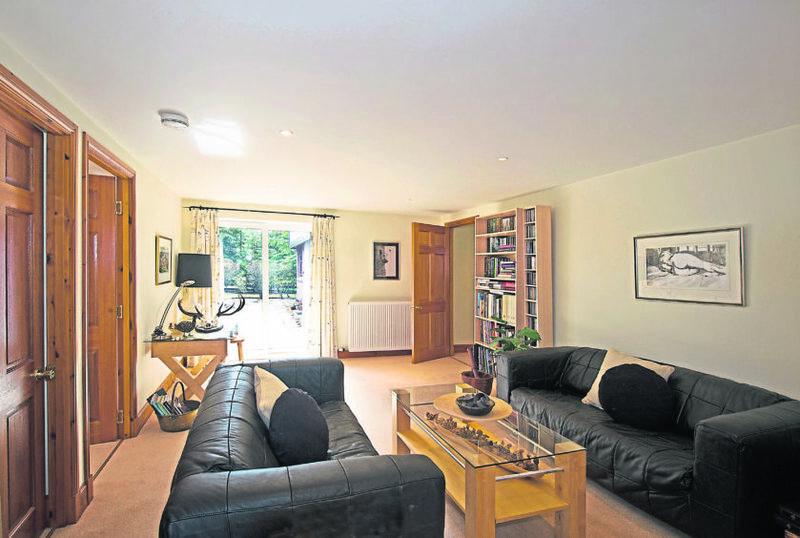 It was Aboyne in particular which stole her heart, and her seven-bedroomed property Fern Lodge which sealed the deal. “I’m originally from just south of Glasgow,” said Veronica, who recently retired from her position as an educational consultant. “Like many people did, I came up to Aberdeen for the jobs in oil. 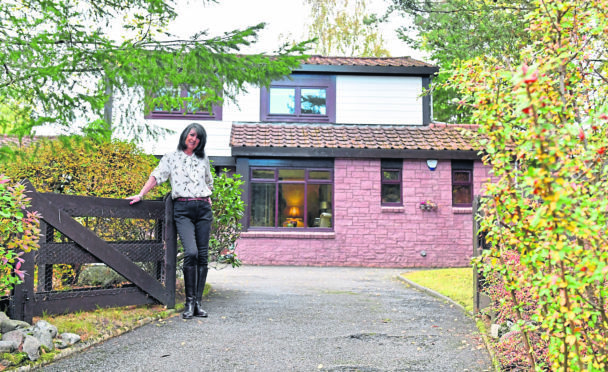 “But after discovering Aboyne I’ve felt so settled and have been in this house nearly 34 years. It’s no surprise that Veronica has made some changes over the years, but there is one big change which amazes visitors. “The family I bought the house from had built a swimming pool on the side,” she said. “That was a big deal back in 1984 and still is now I guess! “But they hadn’t finished it, namely there were no steps to get in and no heater to warm the water. “There was no water filter or dressing room either. “So I had it all done up and the kids loved it for many, many years, but they all went off to school and it wasn’t used as much. “The upkeep was pretty intense and really we needed the extra space rather than a pool so I had it filled in and converted into three bedrooms and a family room. Today that space flows seamlessly into the original ground floor layout, substantially increasing the property’s footprint and offering a space ideally suited to a teenage den or perhaps a granny annex. The heart of the home is a bright and inviting kitchen diner which is fitted with a range of shaker-style units and cream Corrian worktops. The bottle-green Aga heats the whole house while the French patio doors offer access to the substantial garden. “This room has seen a lot of entertaining over the years,” said Veronica. “It’s the real hub of the house. “We once managed to squeeze 18 people round the dining table,” she laughed. “But I do love the drawing room, it just has such a relaxing feel and can accommodate many guests for parties. Set on semi-open-plan with the drawing room is the formal dining room, while there is also an additional family room ready for entertaining or relaxing. In addition to the three large bedrooms on the ground floor, there are a further four bedrooms upstairs. The master suite is a particularly impressive space, complete with a large dressing room and en suite bathroom. 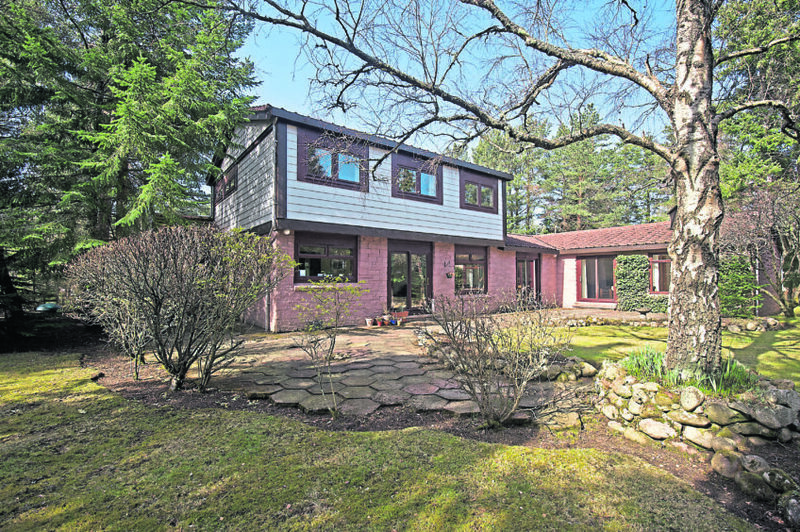 Outside, the property is approached along a large driveway and sits within nearly an acre of enclosed grounds. The garden itself is mainly laid to lawn with mature borders and trees. There is also a generous patio area and a double garage. “It’s not just the house which I’ve enjoyed over the years,” said Veronica. “It’s getting to know the area too – there is so much on offer here. “There are the usual places you need when you have a family, like a medical centre and a school, but there is also Cubs and Brownies, ballet, bridge club and the Aboyne Games which we’ve been regulars at over the years. “Aboyne was voted as one of the top places to live in Scotland earlier this year and it’s no exaggeration. “But all my children have grown up so I’ve no need to have this much space any more. “I’m hoping to downsize but I’m not sure where I want to go. 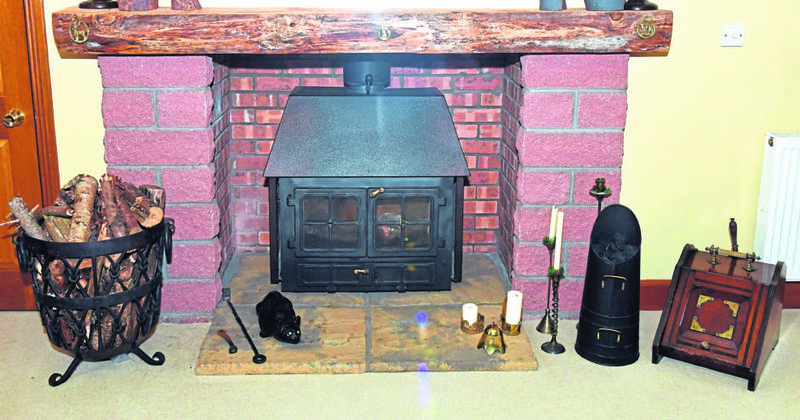 Offers on Fern Lodge should be made in the region of more than £470,000. Contact Strutt and Parker on 01330 826800.